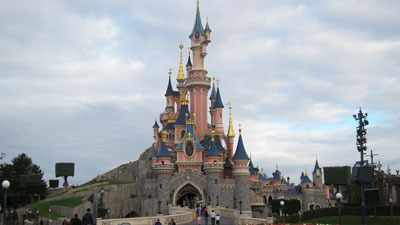 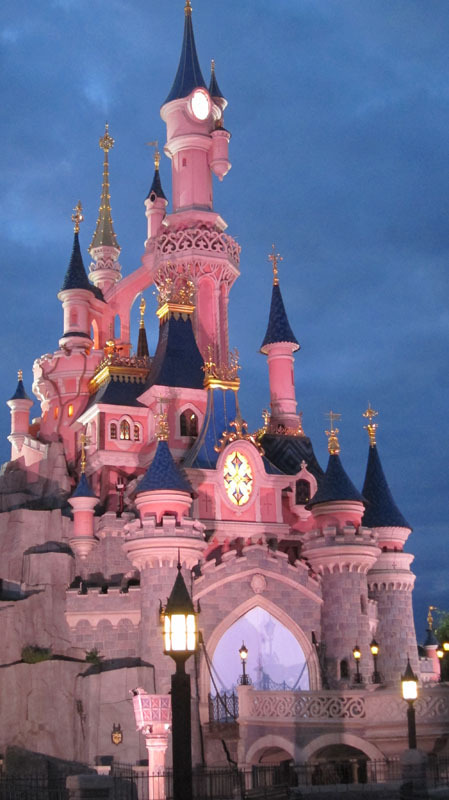 Le Château de la Belle au Bois Dormant, also known as Sleeping Beauty’s Castle, is my absolute favorite Disney castle. 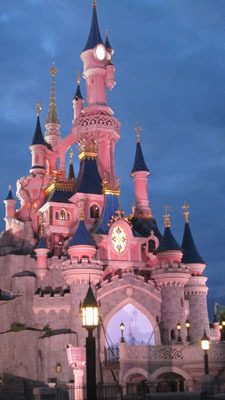 It’s so whimsical and beautiful! 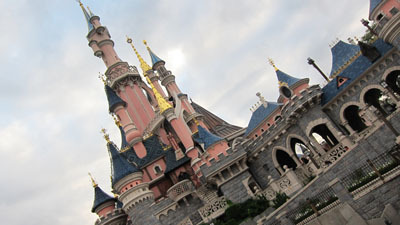 Even the back of the castle is spectacular. 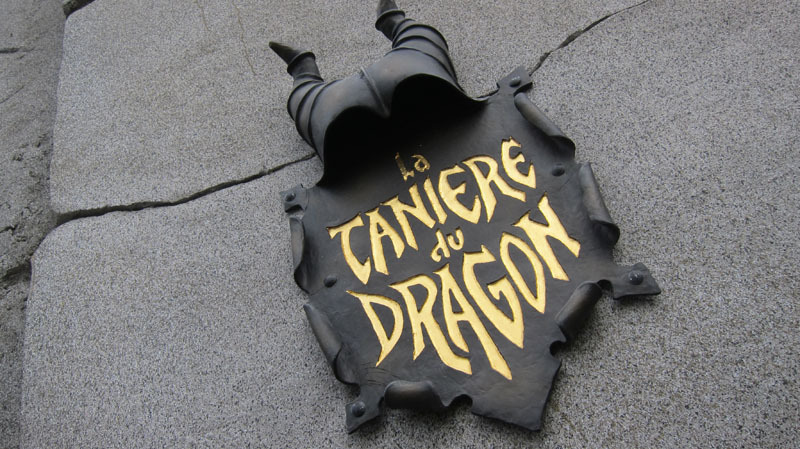 The most unique aspect is the animatronic dragon that makes its home underneath the castle in La Taniere du Dragon. 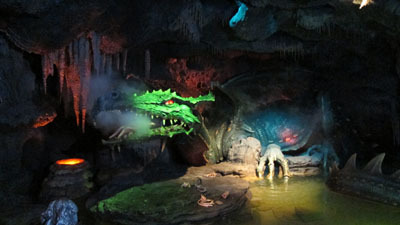 The dragon wakes up from its sleep and roars as guests walk through its lair. 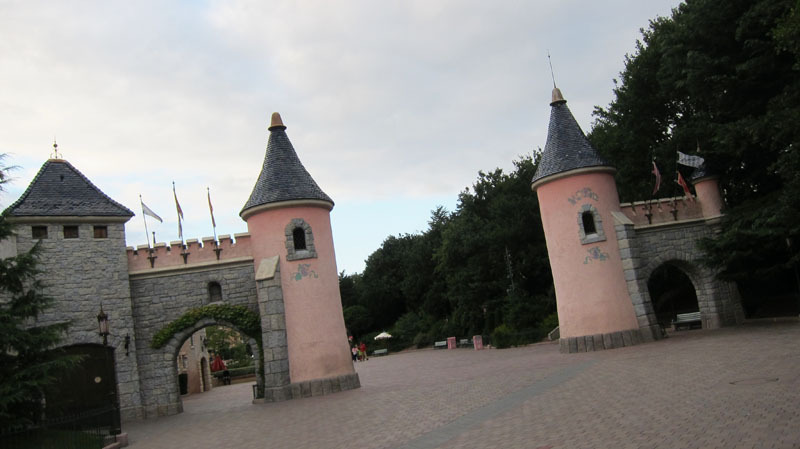 I just adore this transition from the castle to the rest of the land. 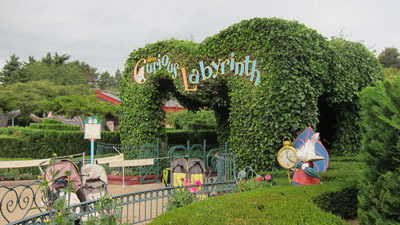 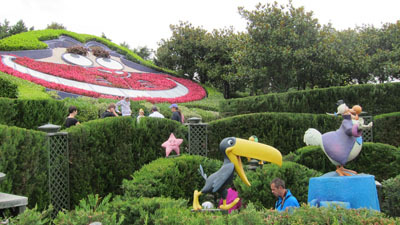 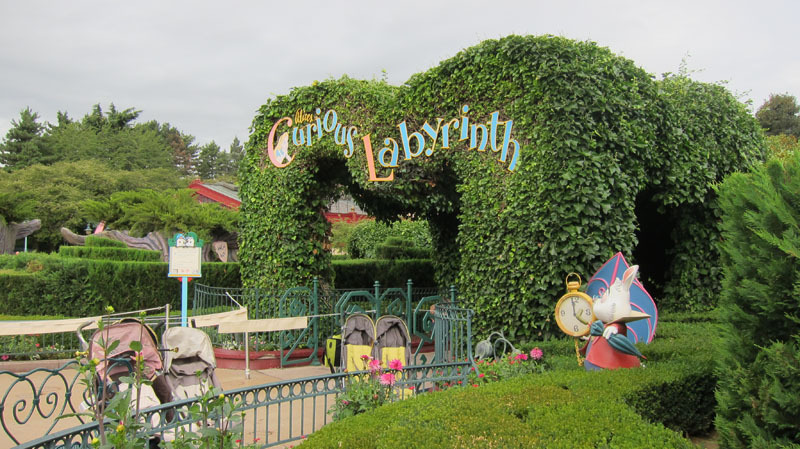 In Fantasyland, there’s a cute maze called Alice’s Curious Labyrinth. 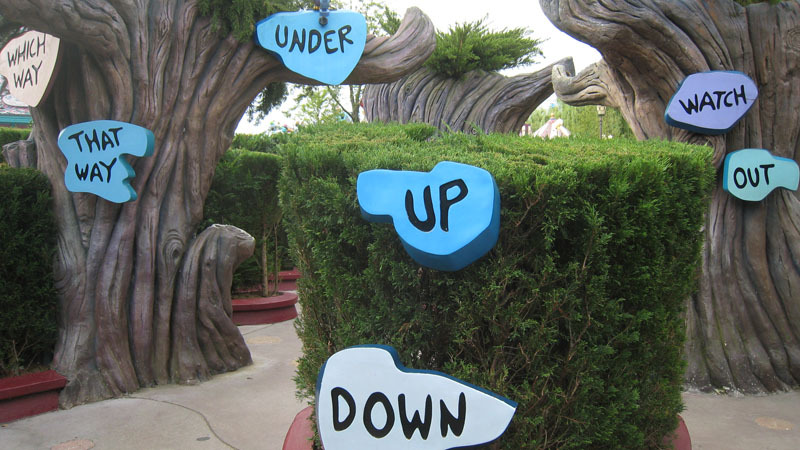 It’s not a must-do attraction but a fun little diversion if you have time. 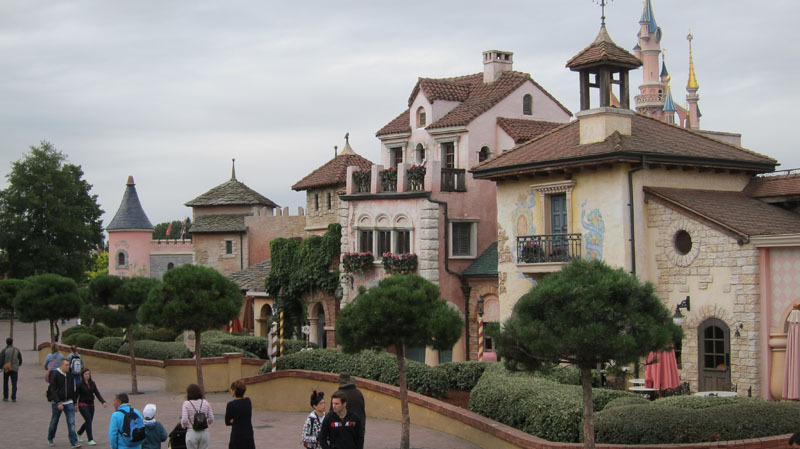 Love the streetscape in Fantasyland — reminds me of Italy. 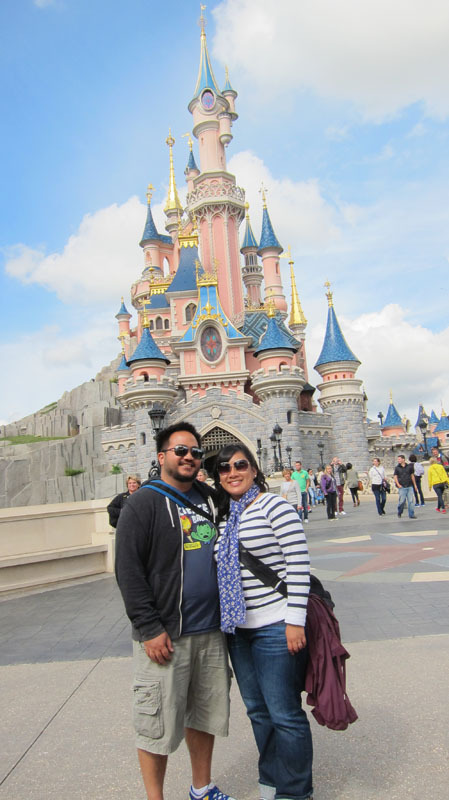 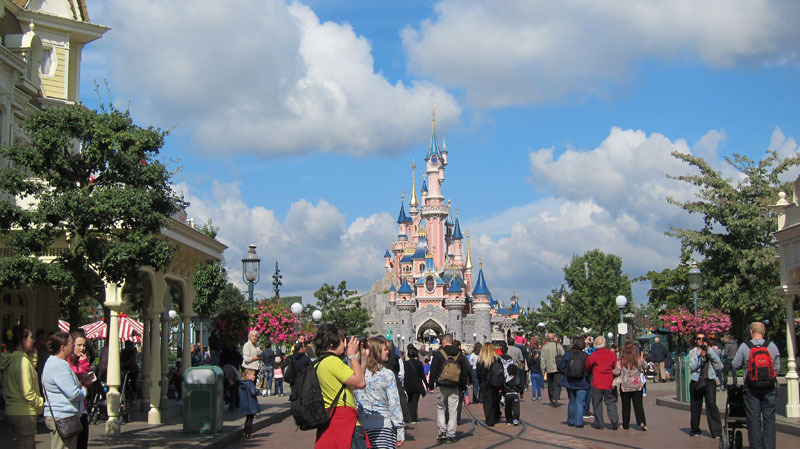 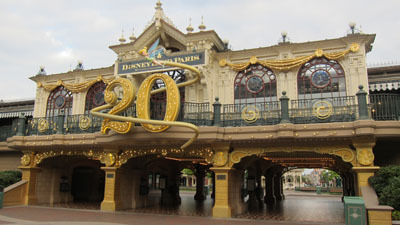 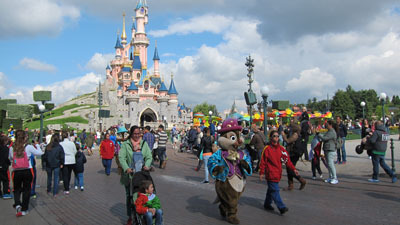 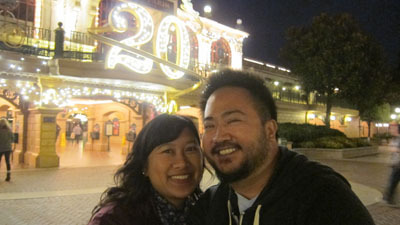 <3 What the US parks call Tomorrowland is known as Discoveryland in Paris. 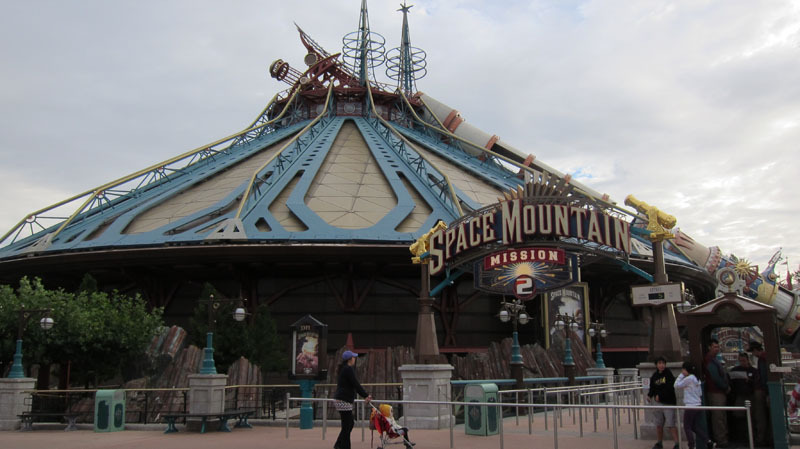 I was looking forward to riding Space Mountain: Mission 2 since the original version in CA is one of my very favorite rides. Sadly I hated it. HATED IT. 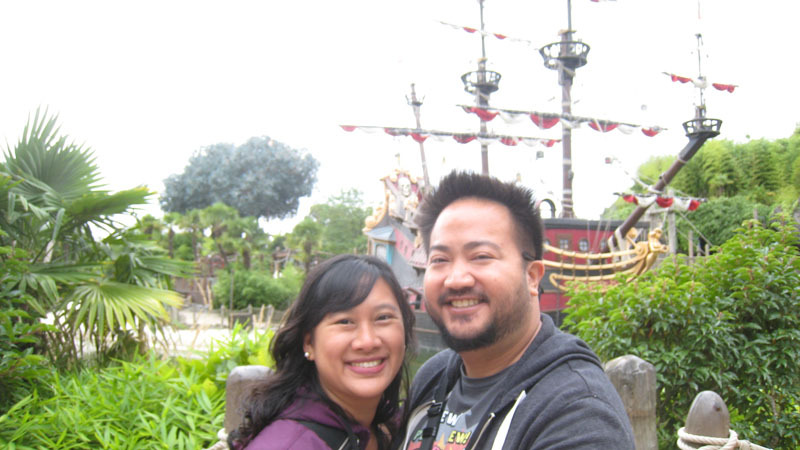 It was so rough it felt like torture. 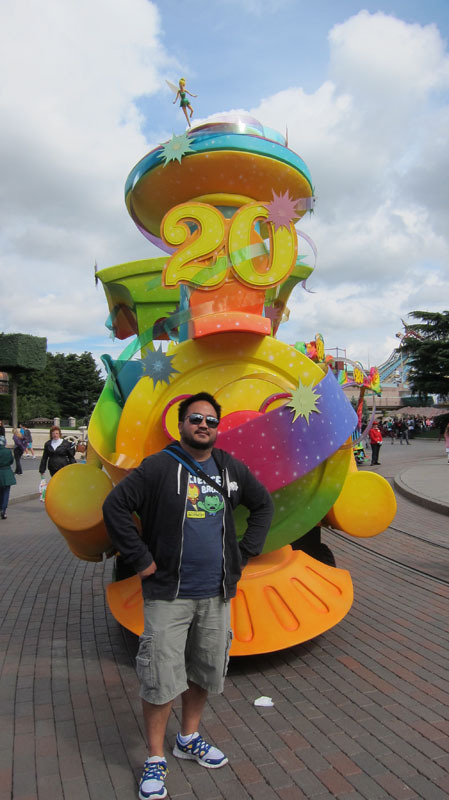 Your head is bouncing all around in the shoulder harness. 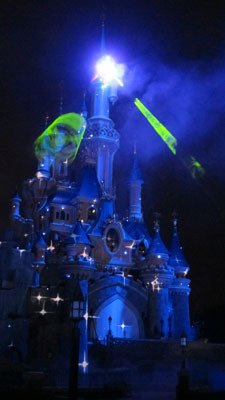 After a few seconds all I wanted was for the ride to end. LOL. 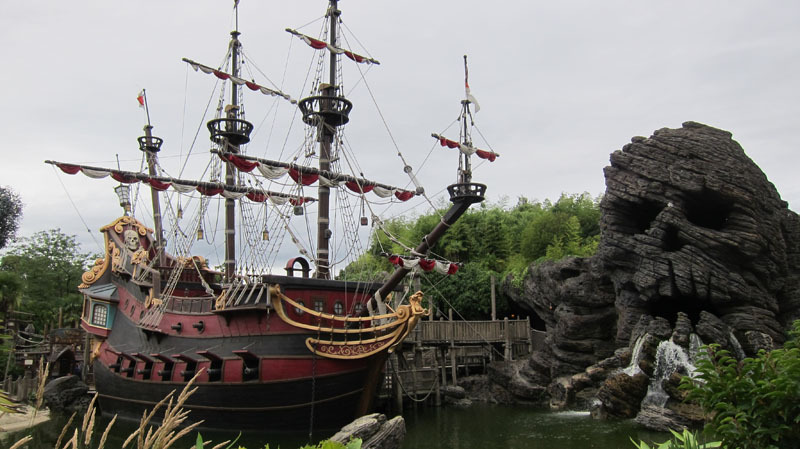 Adventureland is so picturesque — loved this area with Captain Hook’s Pirate Ship moored near Skull Rock. 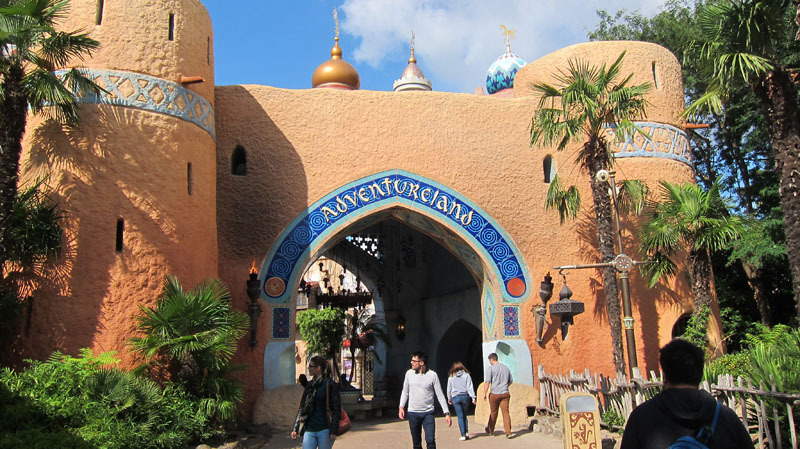 This land is also home to Le Passage Enchanté d’Aladdin, a walkthrough attraction featuring scenes from the movie Aladdin. 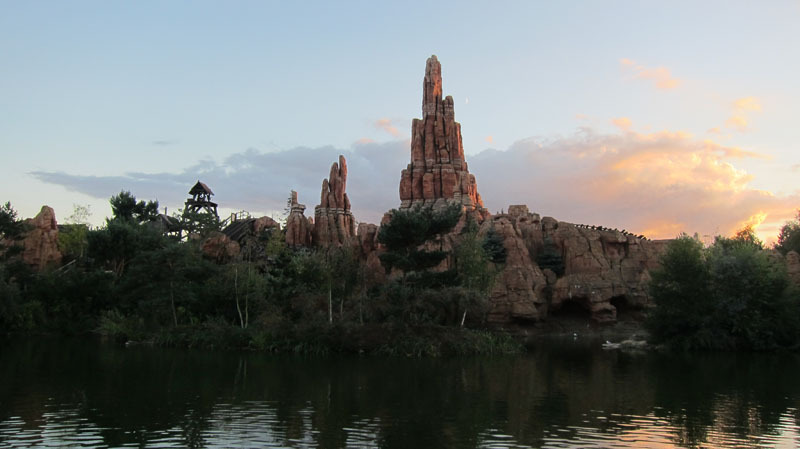 Two of the biggest differences are found in Frontierland. 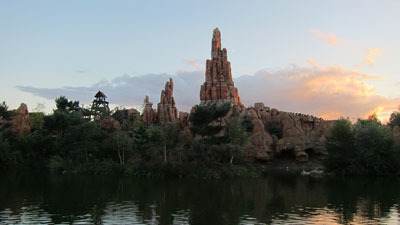 Big Thunder Mountain is built on an island in the middle of the Rivers of the Far West. You still board the ride on the mainland and then the mine cars travel through an underwater tunnel to arrive at the island. 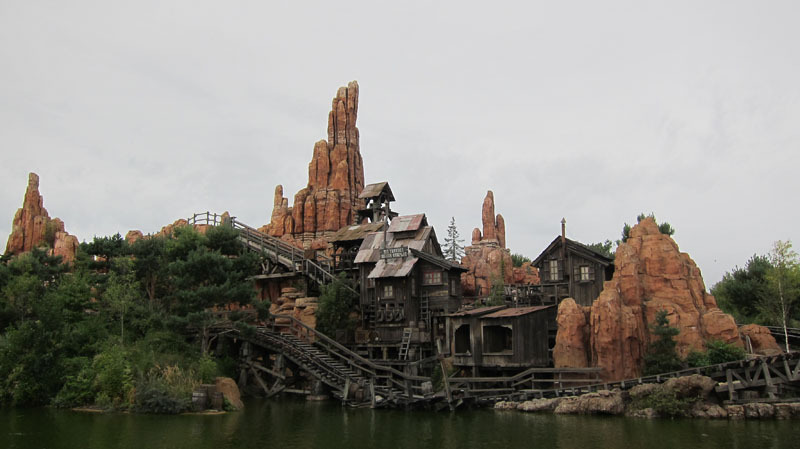 It’s by far my favorite version of the ride. 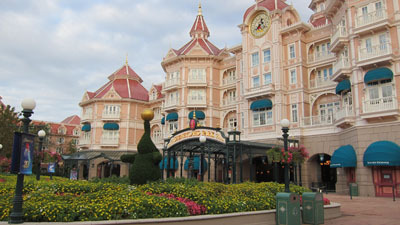 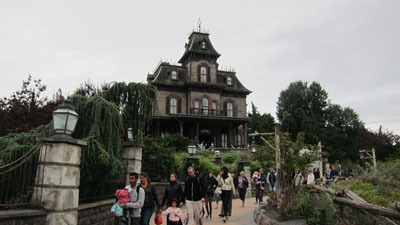 Instead of the Haunted Mansion, Paris has Phantom Manor, which features a different storyline to tie it in to Big Thunder Mountain and Frontierland overall. With a different storyline comes a unique ride building & architecture as well. 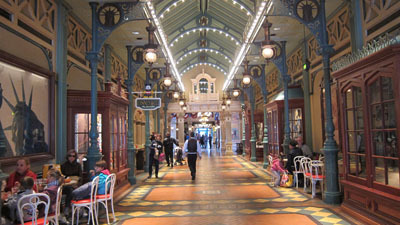 It has such a great look! 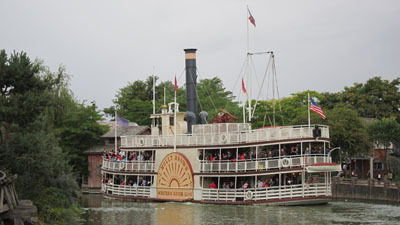 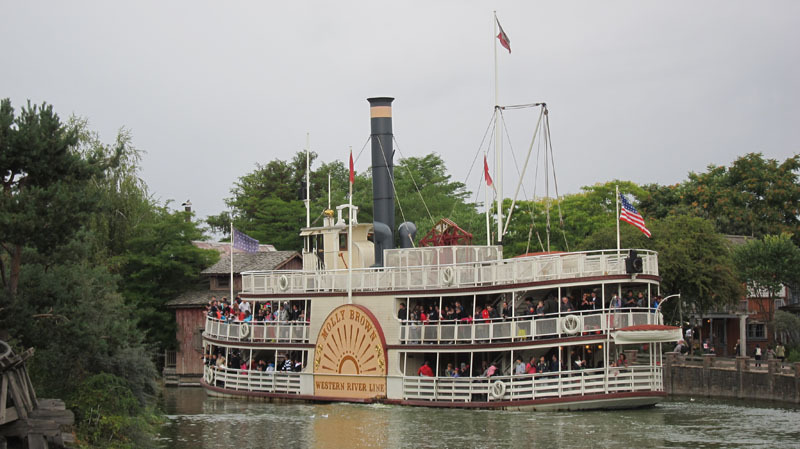 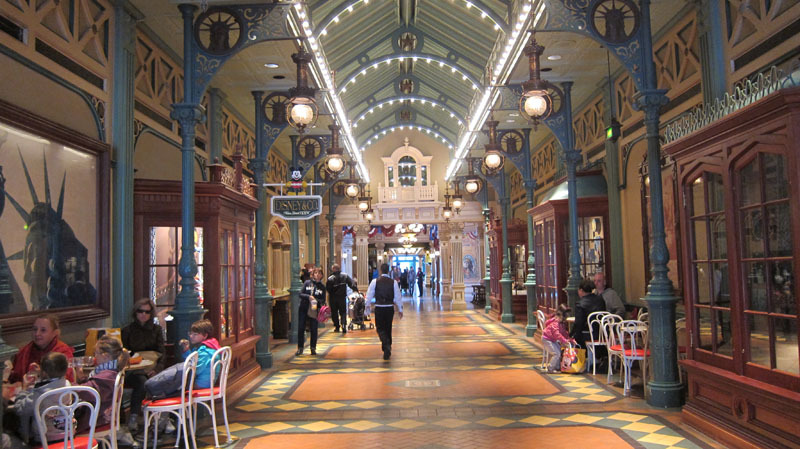 The river isn’t the same without its riverboat – in Paris it’s the Molly Brown. 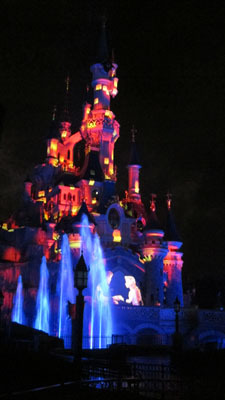 The park’s premiere show is Disney Dreams, a nighttime spectacular featuring light & water effects and projections on the castle set to music. 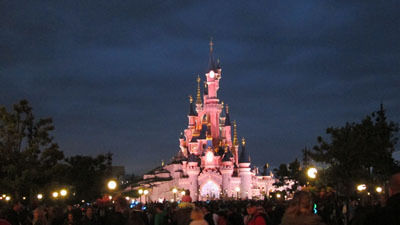 Here’s the castle getting ready for the show. 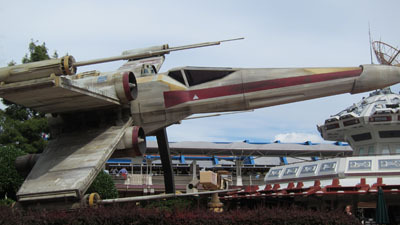 I had a great view in the first row right against the rope. A few favorite shots of the show. Parting shot of Sleeping Beauty’s castle.